White Horses Equestrian Products is a friendly, family-run establishment situated in the beautiful countryside of northern France, offering high quality UK horse feed, bedding and supplements from the suppliers our clients are used to back in England. Our business was established in 2015 to fulfill a need in France for the recognised, quality equestrian products, that we have relied upon and trusted for our beloved equine families. Finding UK feeds such as Baileys, Marksway Mollichaff, Heygates Country Feeds and Dodson & Horrell was growing increasingly difficult, and import was the only possibility with having to bring in great quantities, which the individual equestrian found to be unrealistic. 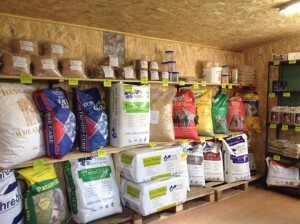 Using her extensive knowledge and experience, and applying a good dose of determination, Julie has now become a recognised stockist and equine feed supplier of these and other ‘big brand’ horse feeds that we have grown to trust, offering traditional customer service values, great products and competitive pricing. Click here to view the products portfolio. “It has been a tremendous start to our new venture and we are delighted to be meeting and serving equestrians from all over the region. As we settle into our premises, we are working closely with our customers to establish our range of products, to ensure we are stocking exactly what they require – everyone has a favourite,” says Julie, owner of White Horses Equestrian Products. Here at White Horses, we are always on hand should you need any advice regarding horse feeds to suit a particular equine condition. 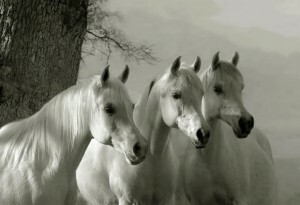 Often, horse health can be improved, or the effects of a condition reduced, with the right feeds and supplements. Find out more about horse health and recommended UK horse feeds in the WHEP bible here. We are happy to help you, and look forward to meeting you at our brand new premises just outside the pretty village of Couesmes-Vauce in the Mayenne region of the Pays de la Loire. At last, a UK equine feed supplier dedicated to providing a good, old-fashioned customer service ethic and high-quality, branded feeds, bedding and supplements. Delivery service is also available, please call on 02 43 04 74 61 or email clarkjulie800@aol.com today to find out more.